This week’s “50 Years, 50 Stories” is from Jerry Mast, who worked for Imagine!’s Labor Source department in the early 1990s. This is a very thoughtful piece, and I offer my thanks to Jerry for sharing. 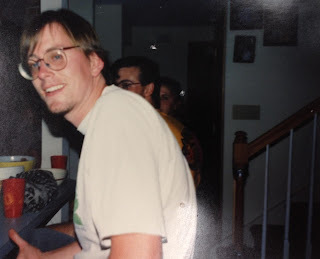 I was a member of Labor Source for three and a half years at the beginning of the 1990s, working my way from substitute instructor to employment consultant to coordinator. But I hadn’t been there more than a handful of months when then-director Mark Emery asked me to join him and a committee of others in re-writing the organization’s mission statement. That request by Mark really affected me, a young, uncertain novice in the field of human services, not long out of college and with absolutely no experience in working with people who have disabilities. For me, the request was an unexpected, but certainly welcome, vote of confidence. Not only did it encourage me to have more faith in my own abilities, but it also gave me insight into the nature of effective leadership. Confident – and competent – leaders lead by empowering and developing the capacities of those around them. The supportive, innovative environment of Labor Source was (and I’m happy to note still is) blessed with many competent leaders, and was an integral component in my own personal and professional development. The only way I could hope to begin to pay back my colleagues was to “pay it forward”, by practicing the lessons I learned there in my post-Labor Source careers. I am sure my story is far from unique among my fellow Labor Source alumni, and that the good that Labor Source has achieved through the people lucky to have been a part of it over the years is, quite simply, immeasurable. It is a tale out of a Frank Capra movie. About that mission statement, I am afraid that after nearly twenty years I don’t recall the exact wording (sorry Mark!) but I surely remember the spirit of it. Labor Source sought to facilitate the successful careers of persons with disabilities by helping them and the communities in which they lived fulfill their mutual obligations to one another. The profound normative values implicit in this mission have had an enduring effect on my own personal philosophy of individual rights and responsibilities, and more generally, my sense of the appropriate relationship between individual and community. On the one hand, there is tremendous value in working hard at something, and in the process, cultivating a more meaningful sense of independence. Each of us owes – to ourselves and to those around us – a good honest effort at something productive. But on the other hand, no individual, regardless of his or her ability, is capable of complete success in this regard without the assistance of others. Each of us depends – in some form or fashion – on “levels of intervention” on our behalf. We are all important threads of what Martin Luther King Jr. called an “inescapable web of mutuality”. If we can think about who each of us is in terms of the values and perspectives that shape our senses of self and the world in which we live, then it’s an undeniable fact that Labor Source, and people associated with it, have helped make me who I am. Since leaving Labor Source, I went to graduate school and have become a professor of public policy. My view of individual and collective action is informed by an article Mark Emery required staff to read and put into practice at Labor Source. The article argued that, in clinical terms, considering a person as a host for a variety behaviors - some desirable, others less so - was useful in being able to separate an individual from their actions. This in turn helps one to apply behavioral learning theory to shape behavior in productive ways using programs of reinforcement. This is not only useful for workers who have disabilities, it turns out it is useful for everybody! Understanding behavior as patterns of response to incentive structures is very helpful in the fields of public policy, economics and political science. Maybe the folks at Labor Source should teach the U.S. Congress a thing or two. Beyond learning organizational and management skills, and shaping my personal and professional philosophies, my time at Labor Source also taught me some simple, but important ways of approaching life in day to day terms. One young man for whom I provided employment services taught me a few essential things in particular. He and I would ride the bus together, an activity that gave him great pleasure. In fact, I remember thinking at the time that it might not have been possible for him to be any happier. Which got me thinking, if riding the bus could make him so happy, couldn’t it make me happy too? There is a real wisdom in enjoying the simple things; so thank you Russ, for helping me realize that. We all face challenges, and sometimes we fall short of the expectations made of us. We all act inappropriately at times. Labor Source helped me learn the best thing to do when we mess up is ask forgiveness if necessary, then get back to work, and enjoy the bus ride home. There are many other stories I could tell, and I could mention many wonderful individuals who are not named in this essay, but who I think of regularly, who made such lasting, positive impacts on me. But you know who are. Thanks. “The Hotel Transylvania” – intrigued? The performance, entitled “The Hotel Transylvania,” will be held Friday, March 1st, at 7:30 PM, at the Broomfield Auditorium, 3 Community Park Road, Broomfield, CO. A reception will follow. Best of all, it’s free to attend! Here’s some background: every Thursday night for the past few months, Out & About Centre Stage class participants have had the opportunity to learn the basics of theater. Each activity focused on integral aspects of theater production, including acting, singing, dancing, choreography, set and costume design, and lighting. Throughout this class, participants worked together to create a stage production. The class is being facilitated by Oliver Gerland, Director of Graduate Studies Department of Theatre and Dance at the University of Colorado. Oliver teaches theatre classes including Drama and Disability. So now that you know how to prepare, I hope you will consider joining Out & About for what is sure to be an entertaining evening. 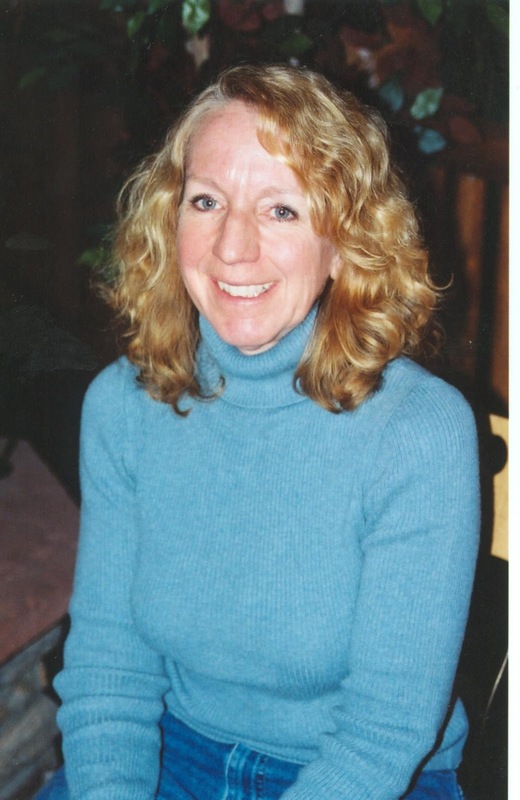 This week’s installment of “50 Years, 50 Stories” was written by Diane Carroll, who, as you will see, as been associated with Imagine! in a variety of roles. I think her many experiences give her a great perspective on the organization overall, and I am very grateful that she was willing to share some of her memories with us. I also want to acknowledge the fact that in all her roles, Diane worked tirelessly to ensure that Imagine! always held true to its mission. Thanks, Diane! Diane Carroll in the early 2000s. Imagine!, yes, I have known this organization for twenty-five years, and in three distinct capacities: as a special educator, as a parent of someone receiving services, and as a board member. As I reflect on these three roles, I am amazed, not only by how much I have learned about the organization but also by the organization’s growth and potential to provide more comprehensive services. My first experience, as a teacher, brought me face-to-face with George Mrazyk (not sure if I spelled that correctly). George was the intake person from the Developmental Disabilities Center who came to transition staffings for high school students. George carefully presented options for parents as their children aged out of school, and, at that time, there was funding to support students in post school opportunities. The acronyms and processes were mind boggling, but together we helped families navigate the paperwork. This view gave me a glimpse of what I would personally use in the near future, although I didn't know it at the time. As my own daughter began the process of aging out of school, I turned to the DDC as a resource. My fondest memory of this time is meeting with Donna Downing to discuss comprehensive services for my daughter. For those who don't know, comprehensive services are 24/7 residential and day program services. I was fearful of the unknown, expecting that my daughter would have the bare minimum of services and supports, but to my surprise, Donna asked about my dreams. I quickly voiced my hope for a home in a neighborhood, with roommates who were her age (she was 21), who shared similar interests and energy. In fact, I remember naming a few possibilities for roommates, people who I knew. Amazingly, Jackson was formed, a house in a neighborhood, roommates who I knew and who were the same age. The staff at Jackson were amazing. They created a family, and we are in contact to this day. When my daughter and her roommates outgrew Jackson, they moved together, eventually to the SmartHome in Longmont. Again, she had the opportunity to live in an amazing home, where she had room to move around, the ability to Skype with her sister who had moved to the east coast, to send emails to family members and friends, and all that the SmartHome has to offer. My third view of Imagine! was as a member of the Board of Directors for twelve years. I had the privilege of watching this organization expand and grow to become the premier CCB in the state. Some of my proudest accomplishments are: hiring a Board Certified Behavior Analysis and the subsequent creation of the Behavioral Health Services, the creation of the Imagine! Foundation, with huge appreciation for all that they have brought to the organization, and hiring the current CEO. To the people I have met at Imagine!, consumers, employees, and volunteers (that includes you if you are reading this), I send my deepest appreciation for making my daughter's life fulfilled. Despite all of her challenges, you persevered, and she smiled. Words can't express my gratitude. For most of my professional life, I have tried to follow Winston Churchill’s lead and be an optimist who sees opportunity in challenges. Indeed, some of my proudest moments in my career have occurred when the team I was on was able to take what seemed to be an intractable challenge and turn in it to a new way of providing services that had better outcomes for those we serve. I will admit, however, that there are some days when it is more challenging to recognize the opportunities than others. With our current uncertain environment, it has been especially difficult to see the glass as half full. I say this not because I have been slowly morphing into a hopeless curmudgeon, but rather to celebrate and reward ourselves for being the recipient of a new challenge. We do, however, engage in our own celebration of contributing a dollar for each difficulty that comes our way that meets this very strict criteria: a member of our Executive Team utters the words “you have got to be kidding me” in response to the new difficulty. The dollars are kept in a sacred cup. When the collection of dollars reaches a point where we cannot squeeze another dollar in the cup, then we will engage in a full celebration with beverages, music, and dancing. I am still an optimist in that I believe many of the difficulties we face will be addressed at some point. I even believe that how those challenges are addressed may well result (down the road – waaaay down the road) in improved outcomes for some of our most vulnerable citizens. But for now, the provider community is engaged in a continual game of “Where’s Waldo?” when it comes to finding the opportunities. They are there, they just don’t immediately stand out. Still, among the plethora of difficulties, there is opportunity. We must continue our pursuit of the opportunities. In the meantime, break out the beverages and cue the music. Here’s a fun (and short – I promise!) video celebrating Imagine!’s 50th Anniversary – and looking toward the future. This week’s “50 Years, 50 Stories” illustrates a point I often try to make - that we as Imagine! employees can (and do) have an impact at times and places when we are least expecting it to happen, and often in ways we don’t expect. Thanks, Lori, for sharing your story! The fall of 1989 I moved from Dayton Ohio to Boulder Colorado with my sister. When I lived in Ohio, I worked for organization called Resident Home Association. I managed a group home of eight men. Seven out of those eight men attended the local workshop. All seven of those men were capable of being integrated in the community through volunteering or working. But day after day they went to the workshop doing line assembly jobs or sitting around doing puzzles. Most of the time they were bored and displayed inappropriate behaviors due to being bored and not feeling purpose in life. So when I came to work for Labor Source twenty three years ago, I was excited to work for a company that promoted integration in the community and giving back to the community by volunteering for non-profit organizations. Workshops were very common twenty three years ago. Not individuals being integrated. One of the first volunteer placement jobs I was trained at was the old run down homeless shelter on Broadway in Boulder. At the homeless shelter the volunteer crew washed and dried bed sheets from the cots at the shelter, and we also washed the donated clothes. The laundry room was in a garage. There were three consumers who had autism who did the volunteer work. One of the gentlemen would stand in a corner repeating “Mommy” every few minutes, the second crew member would sit at the folding table singing Christmas songs no matter what time of the year , and the third consumer was non-verbal and usually laid on the dryer and really enjoyed the vibration from the machine. On good days I could get them to do some of the work. I knew my job was to engage them as much as possible to do the task, giving them a sense of purpose and giving back to the community. One day I was not able to get anyone to focus. The “MOMMY”s were loud, the Christmas songs were non-stop, and the dryer was too warm to get off of. I started to question what we were doing there. The community did not know what we were doing since we were not working in integrated setting. We were alone in a garage. Then a shelter staff person walked in looking for a suit to wear for a job interview. He told me when our crew came to volunteer he was not happy about it. He used to do the job we were doing and the shelter had been paying him some money to do the work. Then he watched us do the work. The volunteer crew inspired him. He felt if individuals with a severe disability could do the work, then he could do a job outside of the shelter. He had been homeless and was working on his next step transitioning to go into the community and wanted a job where he could feel purpose and feel good about himself. He was very excited and said “Thank you” to all of us. After that day I did not see him again and assumed he got a job and left the shelter. After that day I also realized the importance of having some purpose in life no matter how small the task may be. That lesson is what Labor Source gave me. 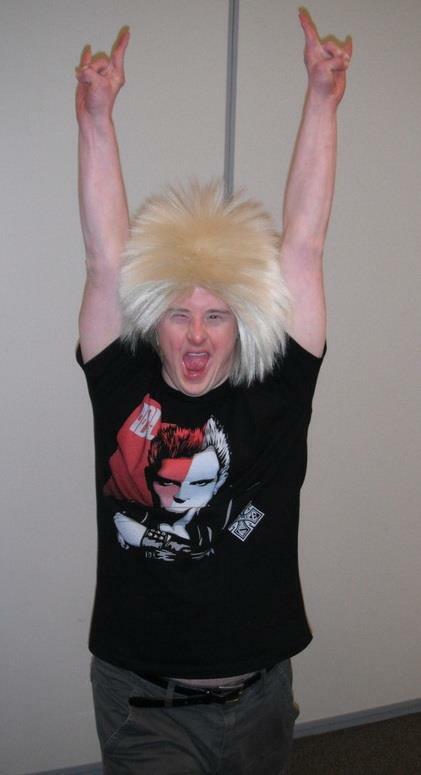 Bonus pictures: check out this variety of Labor Source logo T-shirts from years past. Imagine! is hosting its Annual Community Forum on Tuesday, February 26, 2013, from 5:30-6:30 PM. The forum will be held at Imagine!’s John M. Taylor Conference Center, 1665 Coal Creek Dr., Lafayette, CO.
Do you have questions, concerns, or ideas about Imagine!? Then join us at this forum. Representatives from Imagine!’s staff and Board of Directors will be on hand to answer questions and receive input from families and local community members. You can join us in person or online. Click here to attend online. Click here to email your questions/comments in advance. Today, I’d like to highlight some Imagine! employees who have been nominated for local and national awards honoring the best in Direct Support Professionals (DSPs). 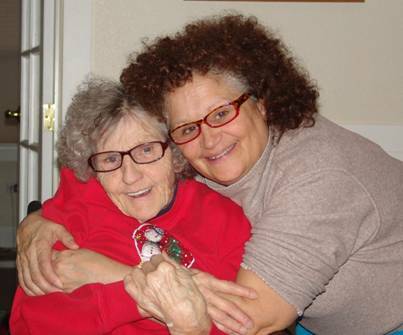 ﻿﻿﻿﻿﻿﻿The most prominent example of Denise’s commitment and level of care is the relationship she has developed with Clara. Denise has served as Clara’s primary for almost 10 years now. Over those years, Denise has developed a close relationship with Clara. Clara does not have many family members left as she is 88 years old and her remaining family members are not very involved in her life. Clara is a very loving person who is always asking her peers and staff about their own families and asking for pictures of friends and family of her peers and staff. Nothing makes Clara happier than meeting family and friends of the people she knows and being made to feel she is part of a family. Denise has recognized how important this is to Clara, and over the last 10 years has adopted Clara as a member of her own family. Denise takes Clara to her home for Christmas and Thanksgiving every year. Clara comes to her home and has dinner with her family on these holidays. She stays overnight at Denise’s house and opens presents with them. Denise’s children refer to Clara as their grandma. Clara’s room is filled with pictures of special memories with Denise’s family. When Denise’s daughter graduated from college last year, she asked that Clara be at the ceremony to share the special day with her family. Denise has taken Clara with her family on vacations to Disney World and to other Colorado vacations. She has made Clara a member of her family and fulfilled Clara’s life in immeasurable ways. There is also a statewide DSP Award given by Alliance, a nonprofit, statewide association of Community Centered Boards (CCBs) and Service Provider Organizations (SPOs). Alliance will be recognizing its DSP of the Year on February 20 during their annual Developmental Disabilities Awareness Day at the state Capitol. Two Imagine! 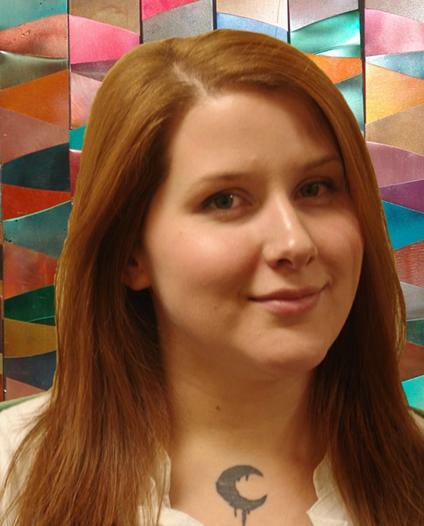 employees have been nominated for this honor: Alexa Schoeman, an Imagine! Out & About Class Facilitator, and Katherine Smith, and Imagine! CORE/Labor Source Art Instructor. In the past month Alexa started facilitating a new class, “Healthy Living.” Based on conversations with participants and their families, Alexa saw that there was an identified need for a class that addresses healthier living styles, so she presented a plan to her supervisor and the class is off and running. Participants have the chance to customize their specific program by picking their favorite ways to get active and creating their own fitness goals while learning how to reach them. The group will tour a local grocery store to learn where the healthy foods are, and they are learning how to prepare healthy snacks such as ants on a log (peanut butter and raisins). Alexa also had the participants make a plate that shows what a healthy meal looks like with food group proportions and serving size, and the participants are using those plates at home. There is homework and each week Alexa sends home a slip of paper briefly describing the homework. Katherine Smith is an art instructor for Imagine!’s CORE/Labor Source department, and brings to her work a creativity and a passion that is unmatched. In her time with CLS, Katherine has motivated her students to create fantastic works of art, and she has assisted them in sharing those works with the community. Katherine helped organize a live performance and art show at Boulder’s Dairy Center for the Arts that was attended by over 100 people, and has arranged for other community galleries to showcase her students’ work as well. She even coordinated with Imagine!’s administrative team to showcase art students' work at Imagine!’s offices – brightening our office walls while at the same time demonstrating in a very tangible way the many contributions individuals with developmental disabilities are bringing to their communities every day. Katherine's interactions with her students show a mutual respect, trust, and belief that they can do anything. Where one person might say a student has reached their maximum potential, Katherine pushes for more. One student entered her class drawing only single color straight lines, and is now creating elaborate mixes of colors and shapes. It is these small successes that Katherine and her students share pride in. I believe that Katherine truly embodies greatness in a Direct Support Professional and is a wonderful representation of what Imagine! has to offer. Congratulations to Denise, Alexa, and Katherine, and good luck! 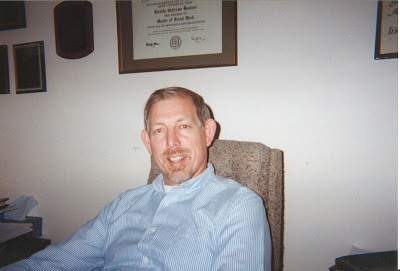 Today’s “50 Years, 50 Stories” installment comes from Rick Haskins, Imagine!’s Assistant Director of Case Management and its longest tenured current employee. I well remember the “well” Rick refers to in his reminiscence. In 1963 I was in 9th grade and certainly not a part of Imagine!. 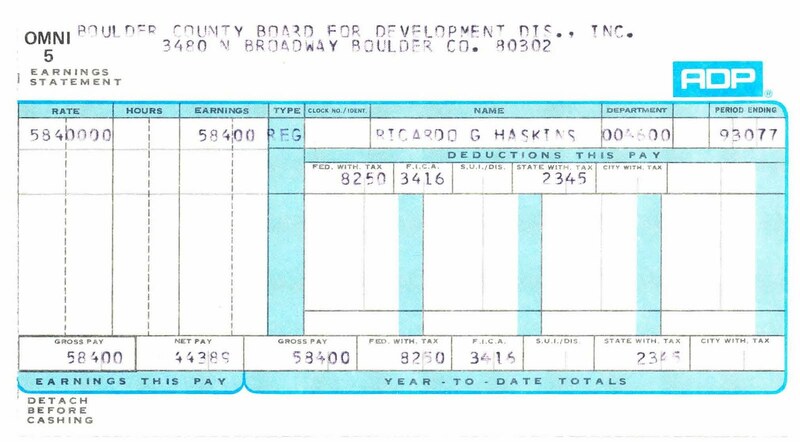 However, in 1977 I came to the Boulder County Board for Developmental Disabilities (BCBDD). I fondly remember the building -- or should I say, the basement -- we inhabited at that time on the corner of Iris & Broadway in Boulder. The upstairs was the Ruth Wood School and the basement was "us." I remember that the day services for adults at that time were the Sheltered Workshop and the Life Enrichment Program, both located on the same "old hospital" grounds as us but in a building across the walkway. Residentially, BCBDD owned Kelwood, an 8-bed group home on "the Hill" off Broadway near CU. The majority of our clients came from Carmel, the 80 or so bed facility also on the Hill. Life seemed simpler in those days, with clients of the workshop taking RTD down Broadway, and those in the Life Enrichment Program being transported by van. IPs were simple three-page documents with the first page being for signatures, the second for a summary, and the third for two or three Goals and three or four Objectives. What more did you need? The basement had three exits: one door at the top of a staircase leading to the school and two leading to the outside. One of the doors to the outside was a solid metal door at the top of a staircase, the other with clear glass leading to a "well" at the bottom of a staircase. With no windows in any of the offices it was this last glass door that allowed us to see if we had inclement weather as we could look down the hallway and see rain or snow coming down into the open well. It was this lack of windows that lead Leslie Brossman (now Rothman) to get me, on my 20th Anniversary at Imagine!, a window taken out of some old barn or house and painted white. It was a lovely window. I hung it from the ceiling in my office, right next to one of my inside walls, put a painting or picture behind it (it changed over the years), and I was proudly able to say I had the first -- and only -- window in the basement of the BCBDD. Thank you, Leslie. Bonus picture - Rick Haskins from days gone by! 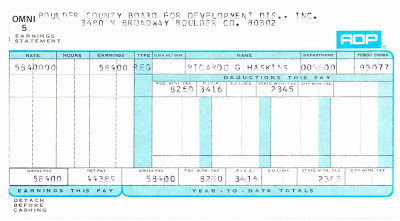 Bonus picture #2 - Rick's very first check stub from the BCBDD. If you have been reading my blog at all in the past few weeks, you will be aware that in 2013, Imagine! is celebrating 50 years of providing tools and supports to individuals with developmental disabilities so that they may become successful citizens and contributing members of their communities. Our mission is best demonstrated through the stories of the people we serve. Check out the video below (which debuted at last week’s Imagine! Celebration) to see two of those stories.